My paintings are created on Arches hot press watercolor paper using ink and watercolor. 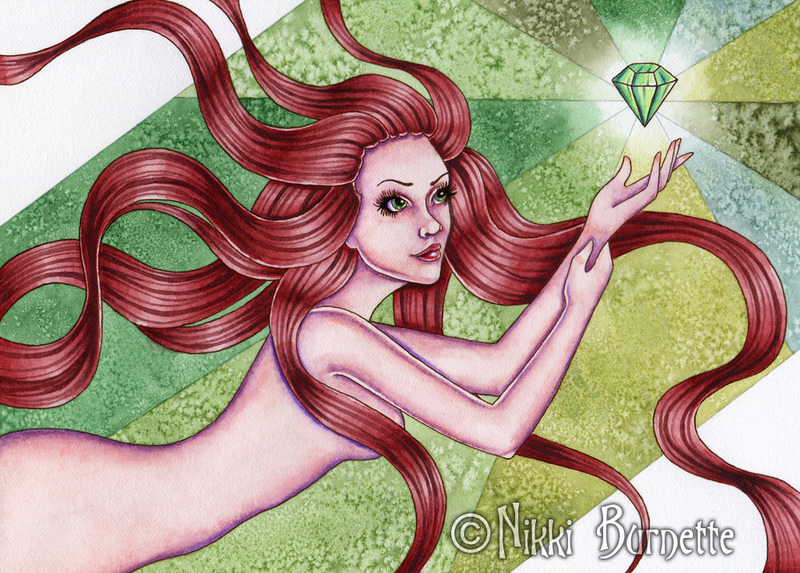 Sometimes I also use watercolor pencils, colored pencils and possibly a touch of white acrylic paint. 8x10" paintings are painted onto 8.5x11" sheets of paper, so there is a small white border to make it easier to frame. ACEO, 5x7" and 11x14" paintings are cut to exact size. I sign, title and date all my paintings on the back. These original paintings will come shipped to you safe and sound between two pieces of sturdy cardboard and wrapped in bubble wrap. Please note: Colors may vary from monitor to monitor, but every precaution has been taken to make the image as close to the original as possible. Watermarks do not appear on the painting. 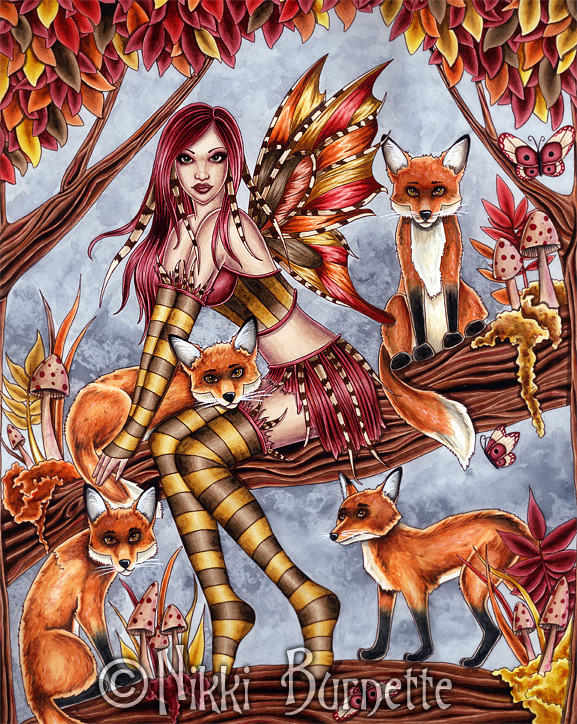 Also, if you are a buyer outside the US, please contact me PRIOR to purchasing an 11x14" painting. These paintings will incur additional shipping charges and I will have to invoice you separately. Thank you! Bailey is part of my "Fruit Witch" series and is the Blueberry Witch! Constance is part of my "Steampunk Portrait Series". 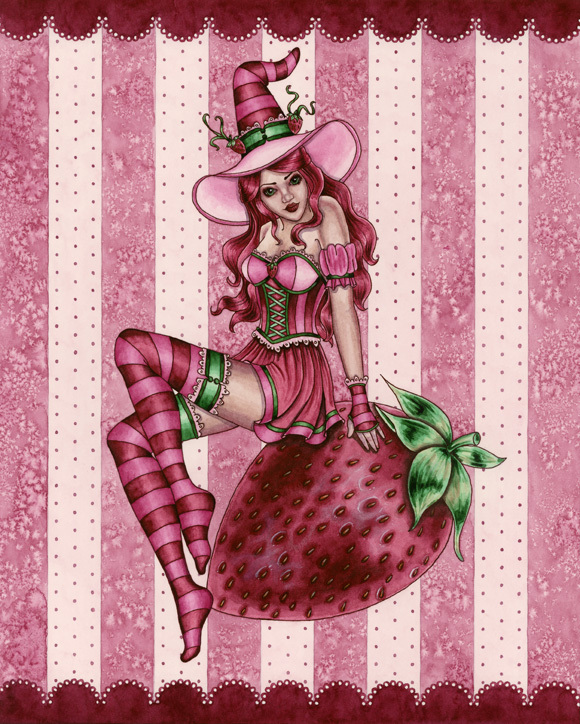 Sydney is part of my "Fruit Witch" series and is the Strawberry Witch! Cheyanna is a woodland fairy who is friends with the foxes. **Buyers outside the US, please contact me prior to purchasing so that I can invoice you separately for added shipping costs. 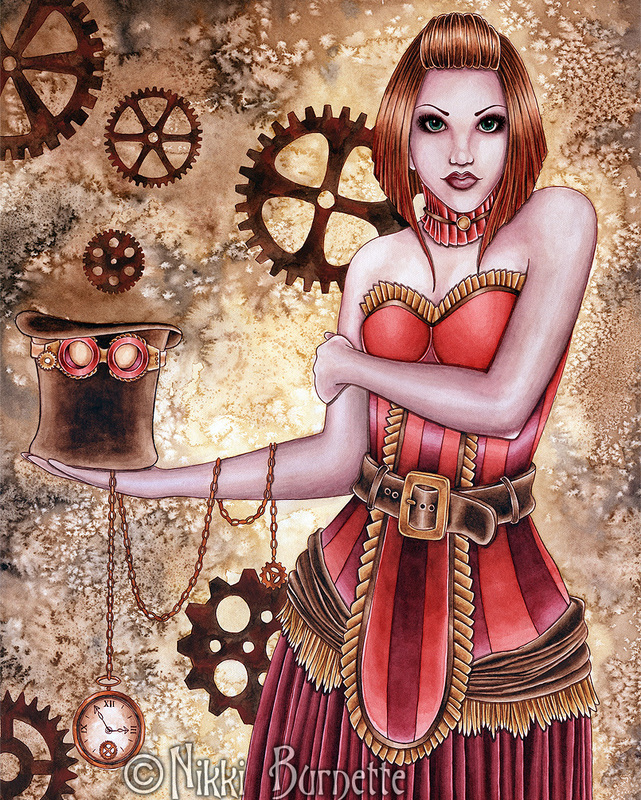 Copper is part of my "Steampunk Portrait Series". **Buyers outside the US, please contact me prior to purchasing so that I can invoice you separately for the added shipping costs. 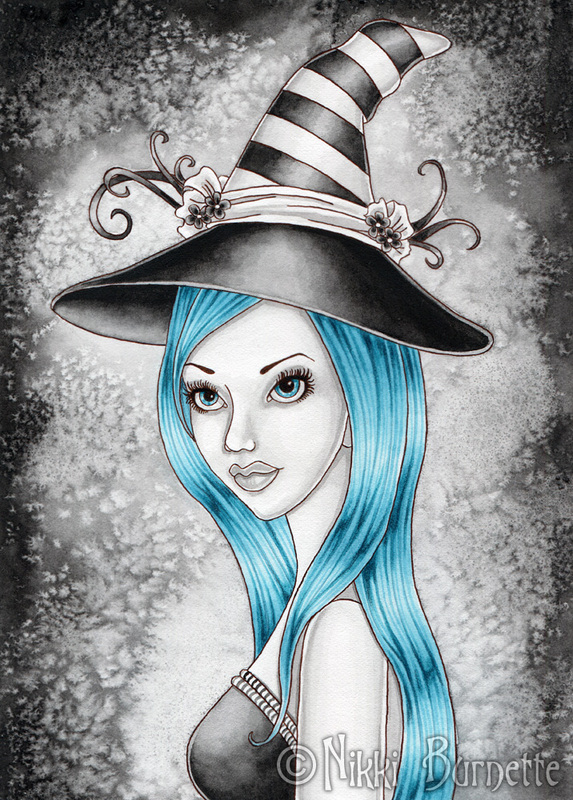 Esme is a fun witch painted in colors of black, white and icy blue! 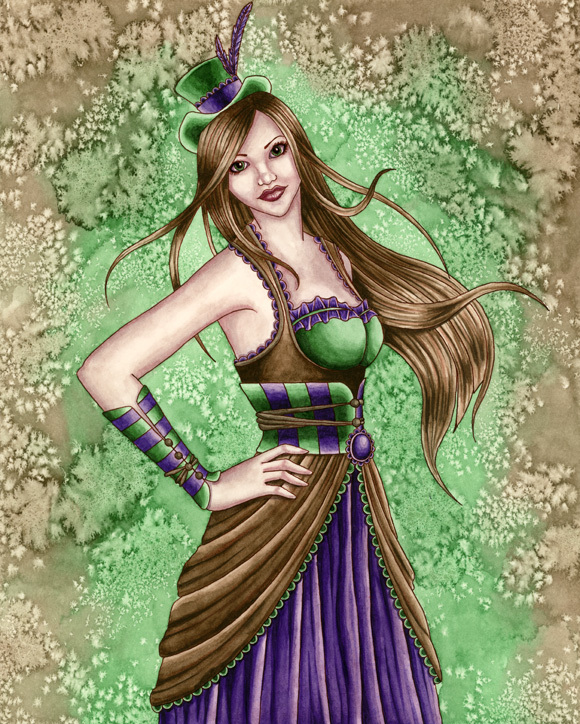 Esmeralda was painted to represent May's birthstone, emerald. 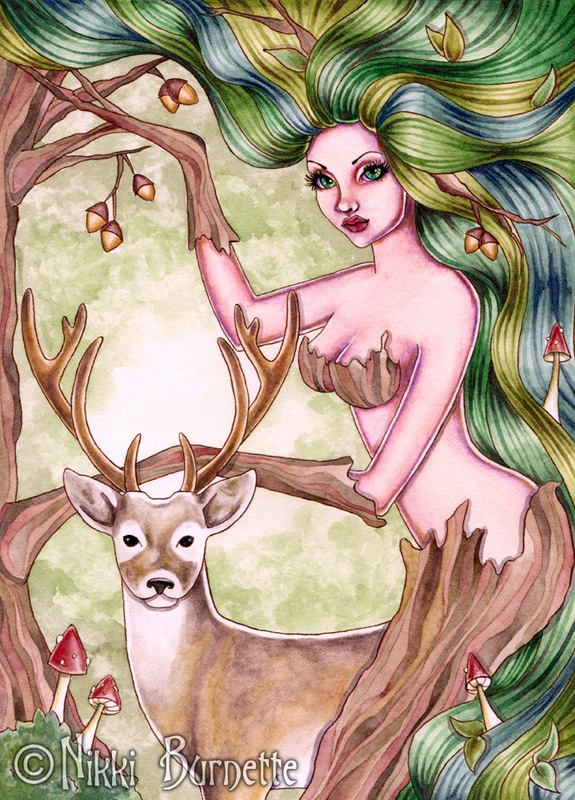 Laina is a beautiful dryad in the forest with her majestic stag friend.